Trimble Solutions India was participated in the 11th Conference on Airports in India, organized by India Infrastructure in New Delhi on 30th & 31st of January, 2017.Trimble have showcased its capabilities and expertise in construction of new airports and expanding or modernizing the existing airports in the event. The conference was concerned about the future outlook where the new trends in the sector during the past couple of years. Conference looked out for modernization where the main concern is Green field projects. “What are the recent advancements in constructing smarter airports? What are the Global best practices?” Answer of this will be the Steel Structures which have been the backbones of Many International Airports all over the world. 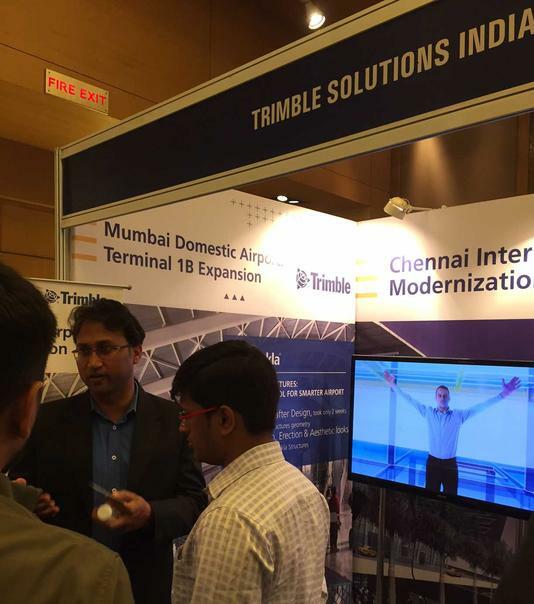 The participation of Trimble in this Conference plays a vital role in the futurism of structural steel build airports in India such as in other nations. Over 130 senior-level delegates attended the conference and panel discussion, which focused on construction and design of Greenfield and Brownfield projects.